This is a scalable context timeline. 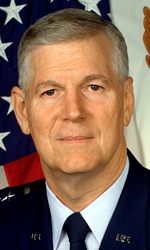 It contains events related to the event (9:03 a.m.) September 11, 2001: Deputy Defense Secretary Wolfowitz Sees the Second Crash on TV, but Continues with a Routine Meeting. You can narrow or broaden the context of this timeline by adjusting the zoom level. The lower the scale, the more relevant the items on average will be, while the higher the scale, the less relevant the items, on average, will be. Deputy Secretary of Defense Paul Wolfowitz is initially evacuated from the Pentagon after it is attacked but he subsequently returns to the building and joins other senior officials in the National Military Command Center (NMCC). 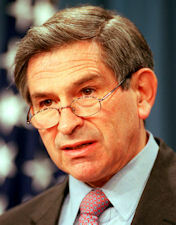 Wolfowitz saw the second crash at the World Trade Center on the television in his office at the Pentagon, but did nothing in response to it and instead continued with a routine meeting (see (9:03 a.m.) September 11, 2001). Wolfowitz Thought the Pentagon Attack Was an Earthquake - He was still in his office when the Pentagon was attacked, at 9:37 a.m. (see 9:37 a.m. September 11, 2001). Although his office is on the opposite side of the building to where the attack occurred, he felt the building shake from the impact. He also heard the crash. “I think I heard it, a dull, thud-like noise,” he will later recall. And yet, despite being aware of the crashes at the WTC, he initially thought the shaking was caused by an earthquake, rather than another attack. “I didn’t put the two things together in my mind,” he will comment. He therefore initially did nothing in response. “It was clear something had happened, but it still wasn’t clear that there was anything to do,” he will say.